Hand painted... something? - Polish This! 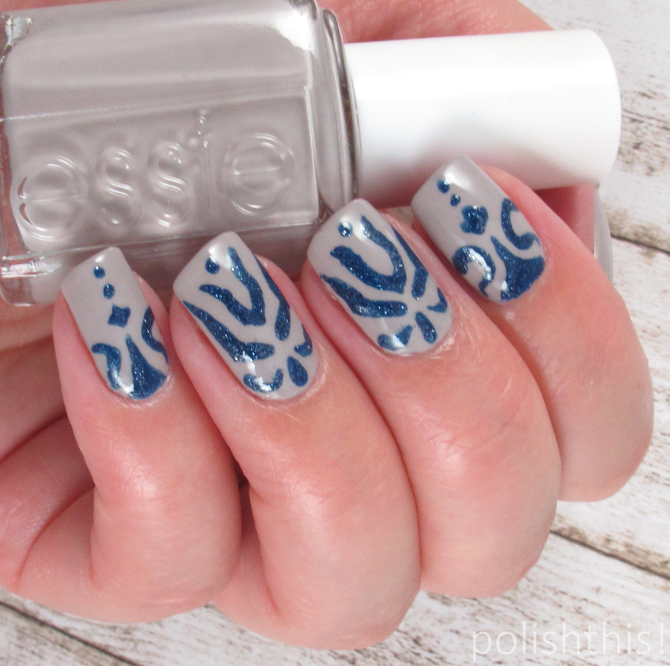 I used Essie Take It Outside as my base color (2 coats). 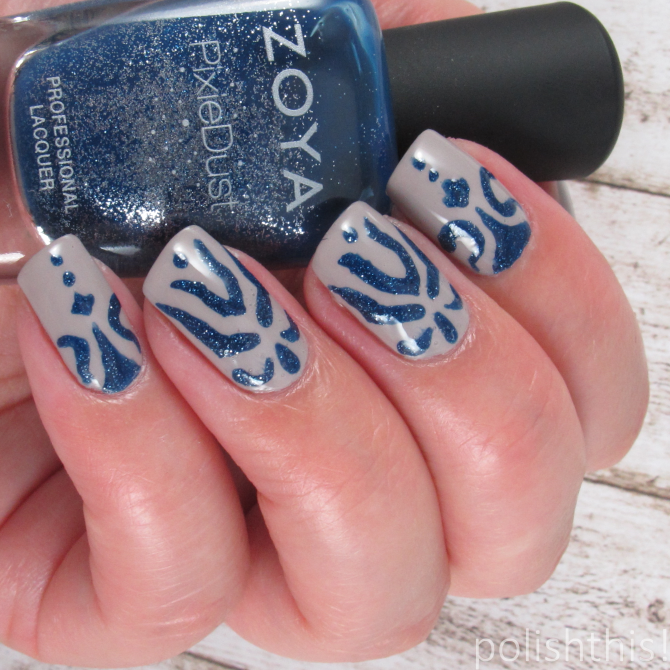 Then I painted the blue details with using a detail nail art brush and Zoya Sunshine. Finally I added a coat of top coat to smooth it all out a bit. 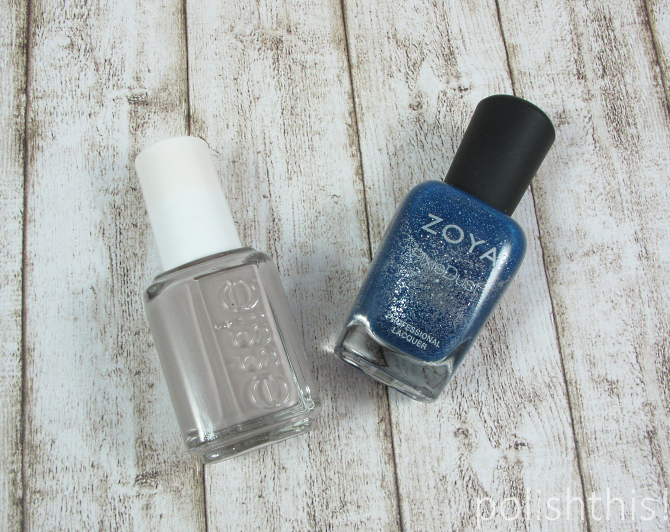 I only used one coat of top coat, so that the Zoya PixieDust still had some of that texture effect, but it wasn't as rough as it would have been without the top coat. Even though I'm not really sure what these patterns are trying to be - or if they even need to be anything - I still quite liked the look. There was quite a lot happening, but still with the muted base and the beautiful blue it wasn't too much.